It’s equal parts creepy and cool. What if you could get a psychic reading about everyone you work with? It could tell you how to talk to them, words to avoid, how short or long your emails should be. What they are good at, and what they aren’t. And what if they could see all of that information about you? That’s what my colleagues and I spent part of the morning doing, and those are the things we said while we went through the data. We poured over our best and worst work traits, brought to us conveniently in a packaged profile that anyone with our email addresses can find. And, obviously, use. Crystal wants to change the frustrations and mysteries of work communications by giving you all the data you need to successfully correspond with friends and colleagues. 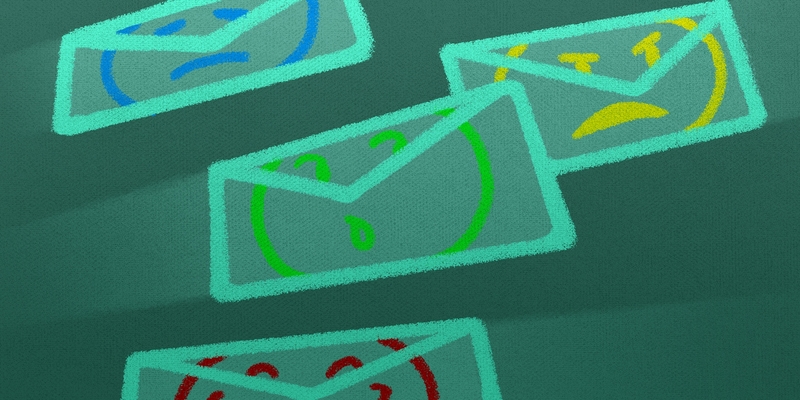 In fact, your emails will be so good people will wonder if you can read their mind. The software is like a psychic for online communication. It walks the line between innovative and super creepy, but it’s hard to deny it actually works. Crystal gives you personality profiles on anyone you might be connected with online, including the best ways email them, how to approach conversations, and how you would work together in a professional setting. You can even get a Gmail extension to let Crystal analyze your emails and give you tips on what you’re doing wrong—it’s like spell check, but for the content of your email. The app is geared towards business, so you’re required to sign in with LinkedIn before using the application. It will then show you a number of suggestions about people you might know or have emailed before, and provide you with a massive amount of profile data about them. It’s rather off-putting to be confronted with your communications style based on what some computer thinks, but thanks to the amount of personal information we share on the Internet, the list is fairly comprehensive. Crystal will provide an assessment percentage to qualify the accuracy of the information. If someone has limited data available about them online, it will have a lower percentage, but you can manually add additional information through Crystal to improve the results. LinkedIn isn’t the only data source. Crystal sweeps the entire Web looking for anything you might have shared or that’s been written about you to develop a personality profile. A Crystal analysis is a bit like a Google search, but with qualitative, summarized results. Analyzing conversations for personality profiles isn’t entirely revolutionary. A number of studies have analyzed social media to predict what someone might be like offline and how they interact with others. Crystal takes this data and packages it into a readable format so users can apply that data to their everyday relationships. Drew D’Agostino, founder of Crystal, said that his goal is to figure out ways of helping people communicate with one another in a more productive way. Often people will correspond differently. For instance, someone might send you a four-paragraph email and you will respond with one sentence. Crystal can help stop people from being offended by these different email styles. In addition to the personality profile, Crystal also provides a Gmail plugin that instructs you on how to communicate. A button will appear in the “compose” field with a description of how best to approach that person. If you click on it, you’ll see even more information about how to address your colleague and what they will respond to. D’Agostino said that the response to the app varies. People in sales and recruiting automatically recognize the value of the service, while other people feel compelled to delete themselves off the Internet after realizing how much one service can glean from public data. Businesses can pay for more comprehensive features, but the psychic-like free features are pretty robust as is. And truly, it helps you have a better understanding of how best to interact with your colleagues. While a useful tool for business communications, it also serves as a blatant reminder of how much information we’re constantly sharing on the Web. As much as I hate to admit it, Crystal was spot on with how I interact with people in emails, and when compared to my colleagues, I seem a little more square and approachable. I’m not sure how much I like people being able to know that much about my personality simply by analyzing a Google search. On the plus side, though, analyzing your and your colleagues’ Crystal profiles is beyond entertaining. And, you know, it might even help you talk to each other better. Which is, of course, the whole idea.